Fluvial ecosystems exhibit a wide range of natural variability in the quantity, quality, timing, and temporal variability of river flow. How much water does a river need, and what is the importance of natural variation? 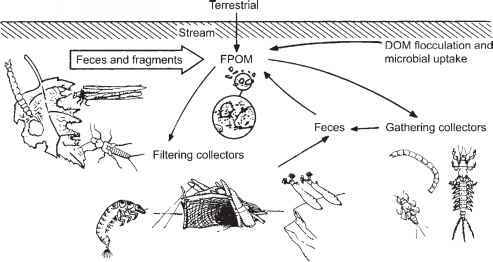 To answer these questions, an understanding of flow and its far-reaching consequences for the physical, chemical, and biological condition of rivers is essential. This chapter shows how a basic appreciation of the water cycle is critical to understanding the magnitude and timing of streamflow, and discusses how natural variation in flow often has been altered by human actions. Increasingly today the tools of hydrologic analysis are being combined with other elements of river science to ensure that "environmental flows'' are sufficient to protect and restore stream ecosystems. Human societies extract great quantities of water from rivers, lakes, wetlands, and underground aquifers to meet agricultural, municipal, and industrial demands. Yet freshwater ecosystems also need enough water, of sufficient quality and at the right time, to provide economically valuable commodities and services to society. The benefits of functionally intact and biologically complex freshwater ecosystems include flood control, transportation, recreation, purification of human and industrial wastes, provision of habitat for plants and animals, and production of fish and other foods and marketable goods (Baron et al. 2002). Unfortunately, however, existing and projected future increases in water demand are resulting in intensifying conflicts between these human uses and the conservation and management of intact, functioning fluvial ecosystems (Postel and Richter 2003). The human impact on rivers and other surface fresh waters is staggering. Over half of the world's accessible runoff presently is appropriated for human use, and that fraction is projected to grow to 70% by 2025 (Postel et al. 1996). Impoundments, surface and groundwater abstractions, interbasin water transfers, and a vast number of small dams, weirs, and diversions alter flow patterns, reduce surface flows, and fragment river channels. With more than 75,000 dams >2 m in height in the United States and approximately 2.5 million smaller water control structures (Poff and Hart 2002), it is unsurprising that a river inventory of the 48 contiguous states found that only 42 high-quality, free-flowing rivers >200 km in length remain (Benke 1990). Worldwide, the number of large dams (defined as >15 m in height, or > 5 m and of large reservoir capacity) exceeds 45,000 (WCD 2000) (Figure 2.1), and the number of small dams is put at 800,000 (McCully 1996). Slightly more than three fourths of the 139 largest river systems of North America, Europe, and former USSR are highly or moderately affected by fragmentation of their main channels by flow-control structures (Dynesius and Nilsson 1994). Revenga et al. (2000) estimated that 60% of the world's rivers are fragmented by hydrologic alteration.